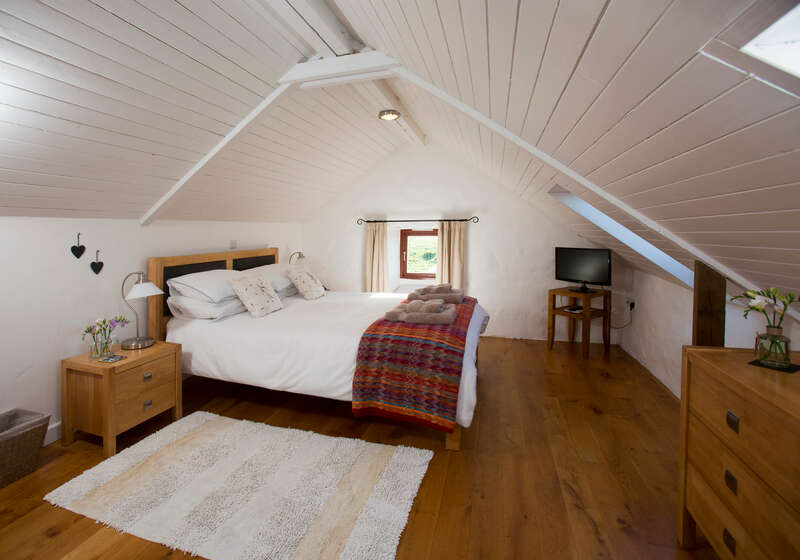 This 5 star luxury holiday cottage is named after the infamous Irish pirate who crossed the waters to slay the Celtic chieftan Boia. 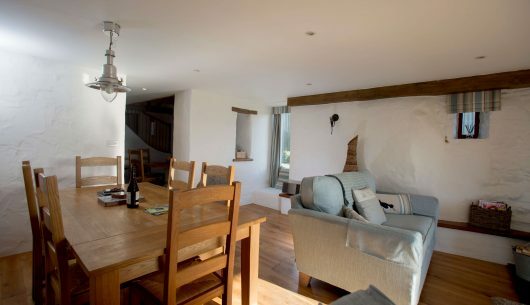 Nowadays it creates a great venue for friends to meet up for a reunion. 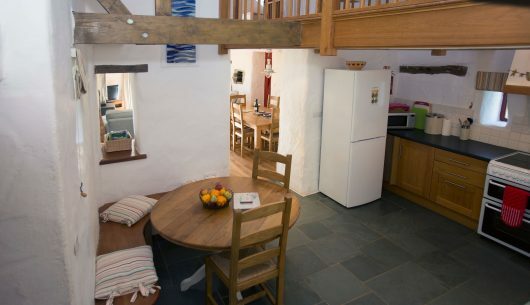 Family get-togethers,celebrations, murder mystery weekends , it all happens here! 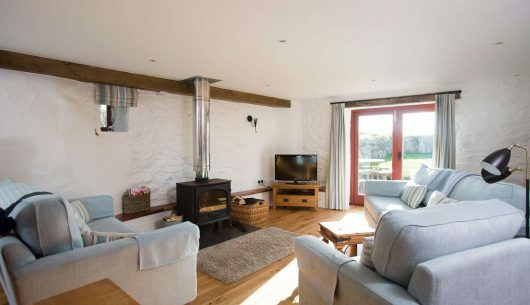 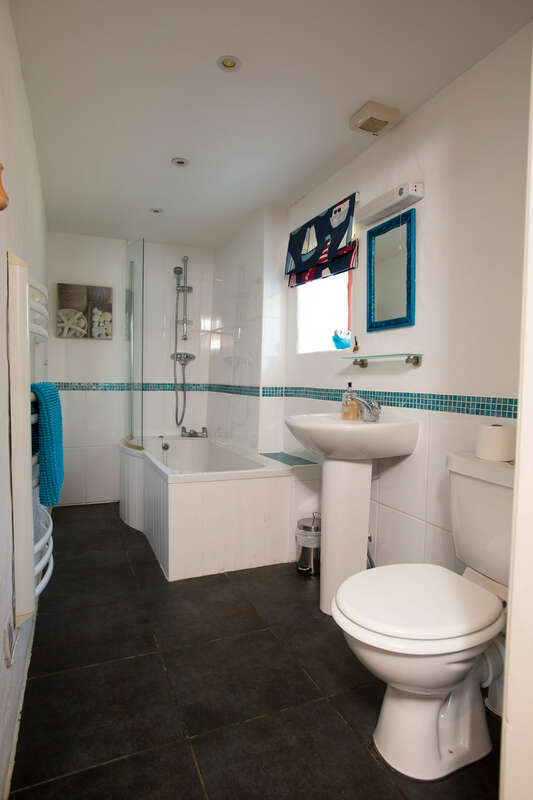 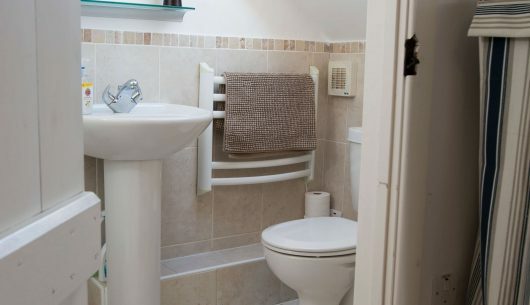 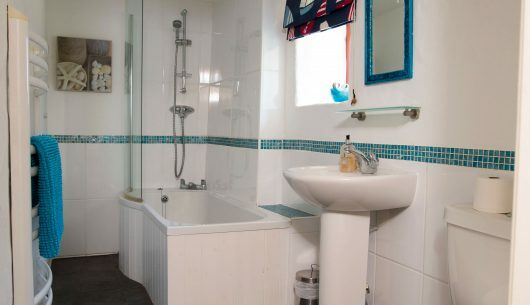 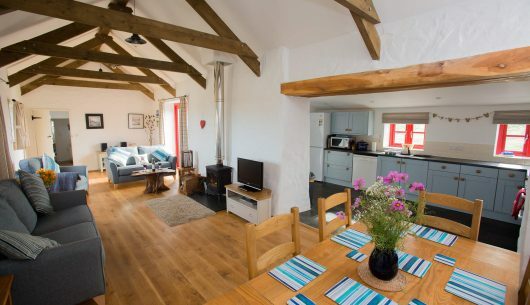 This child friendly holiday let is close to beach at Porthllisky or the harbour at Porthclais (just 5 minute walk)and 5 minutes by car to blue flag beach at Whitesands or Caerfai Bay. 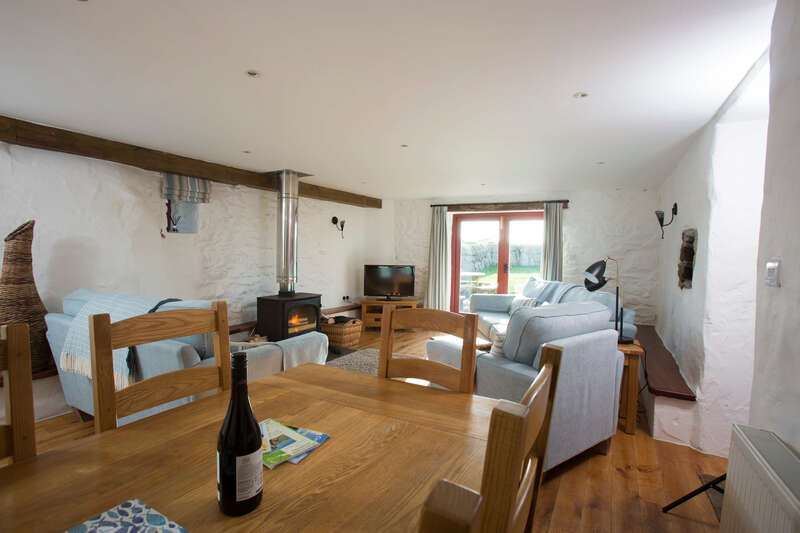 Ground floor consists of large living/dining area with oak floor and wood-burner for those wild winter breaks(logs are provided free of charge). 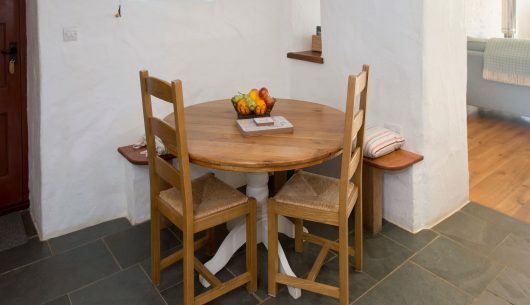 Fully equipped kitchen, also home to kitchen table so the poor devil who has to do the cooking can have a little company! 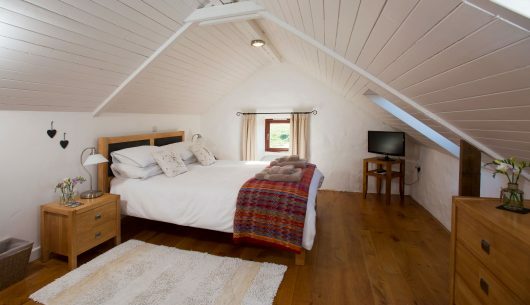 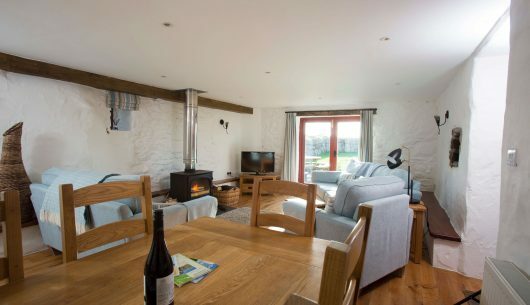 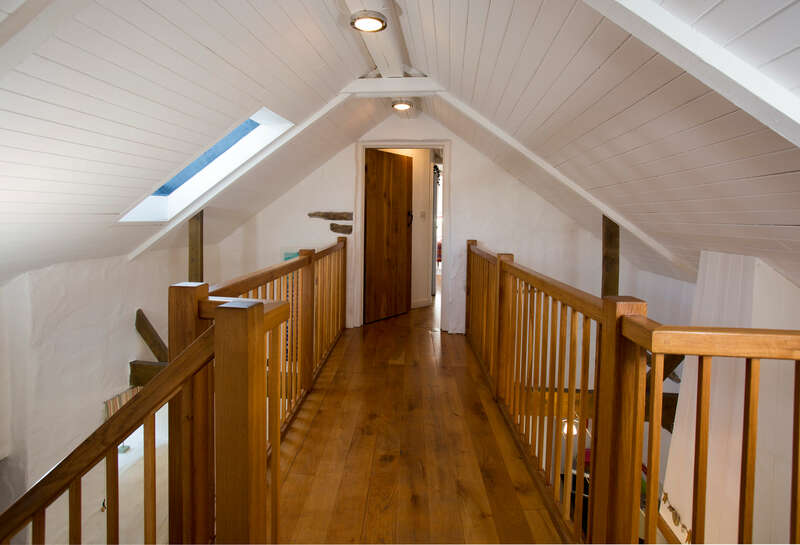 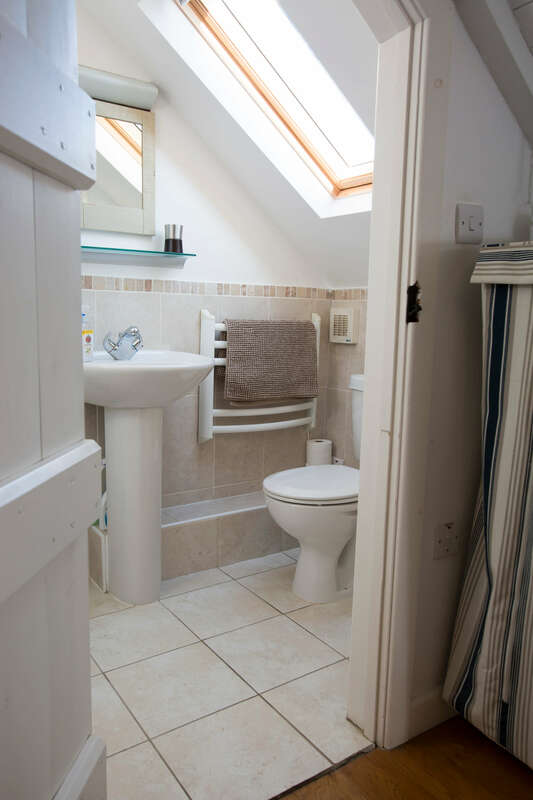 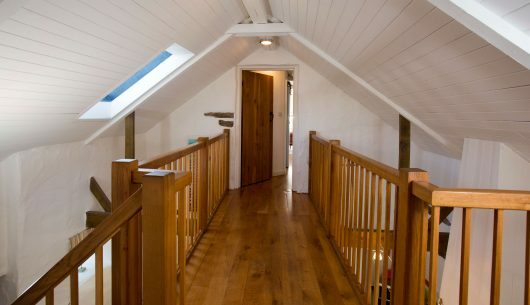 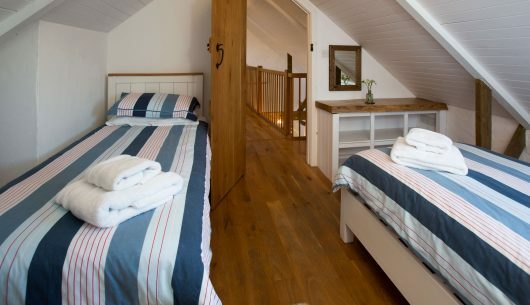 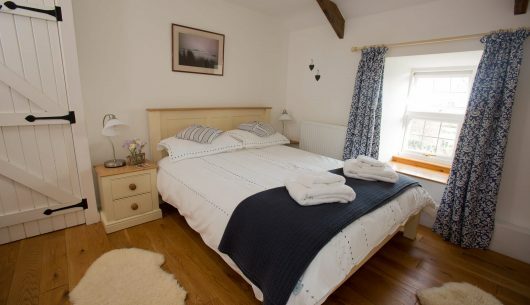 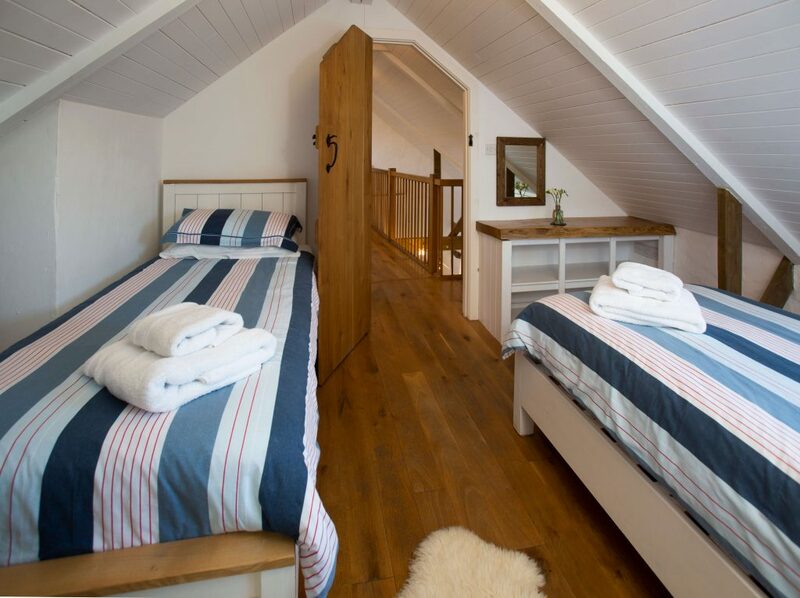 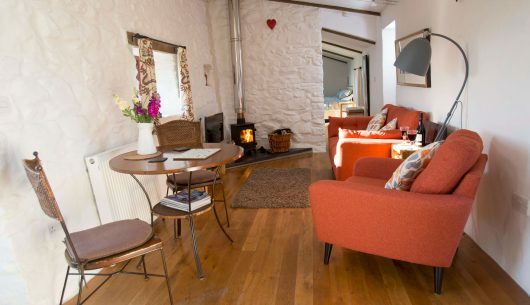 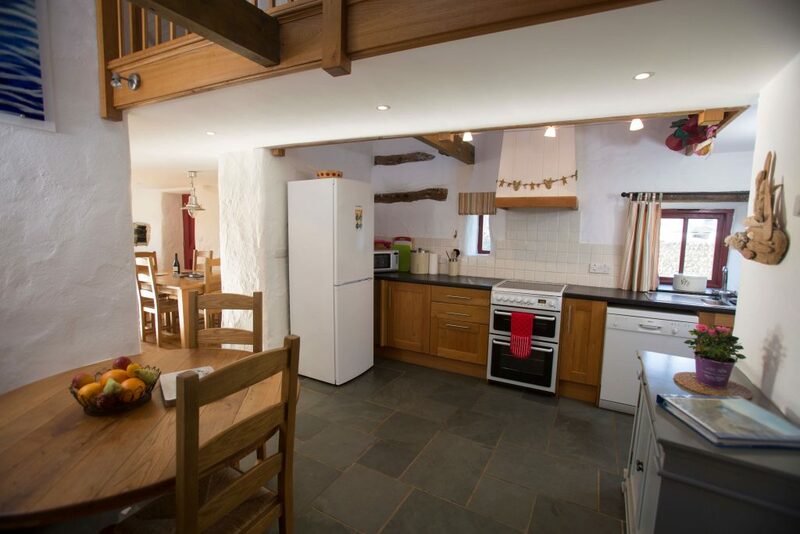 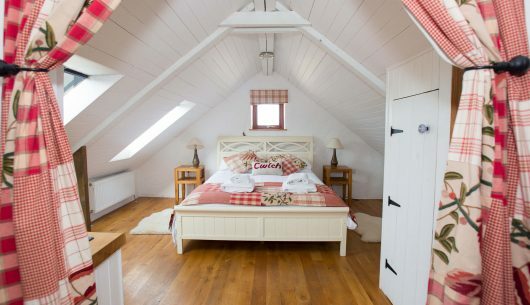 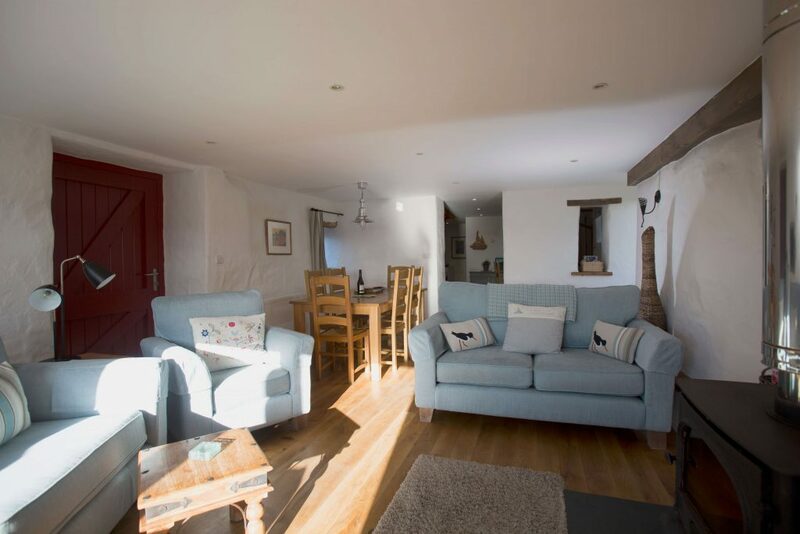 There is 1 double bedroom downstairs adjacent to the bathroom, two bedrooms upstairs( one 5 ft double and twin bedroom, 2x3ft beds) both at opposite ends of the barn and both with en-suites and linked by bridge / walkway crossing the kitchen. 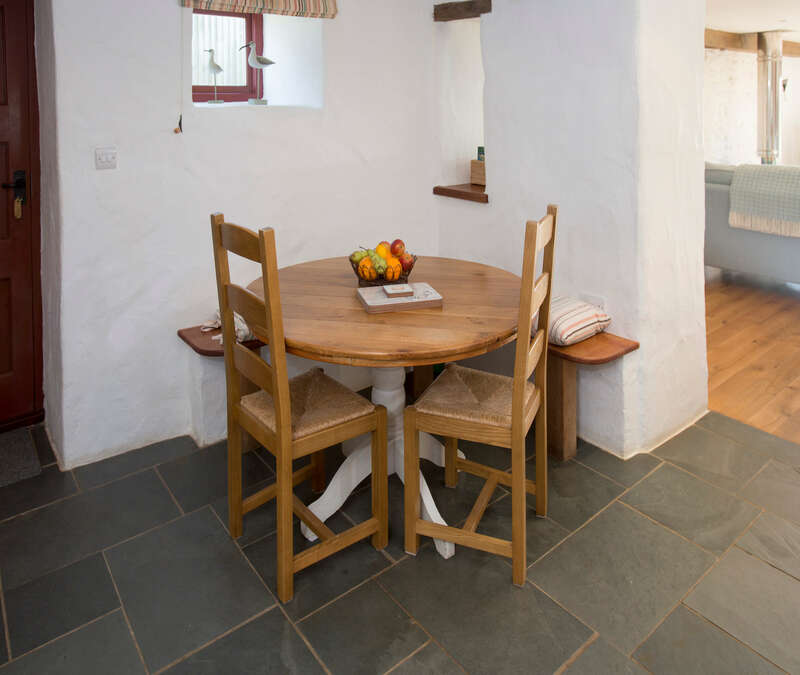  Separate patio and enclosed garden with picnic bench opposite children’s play area. 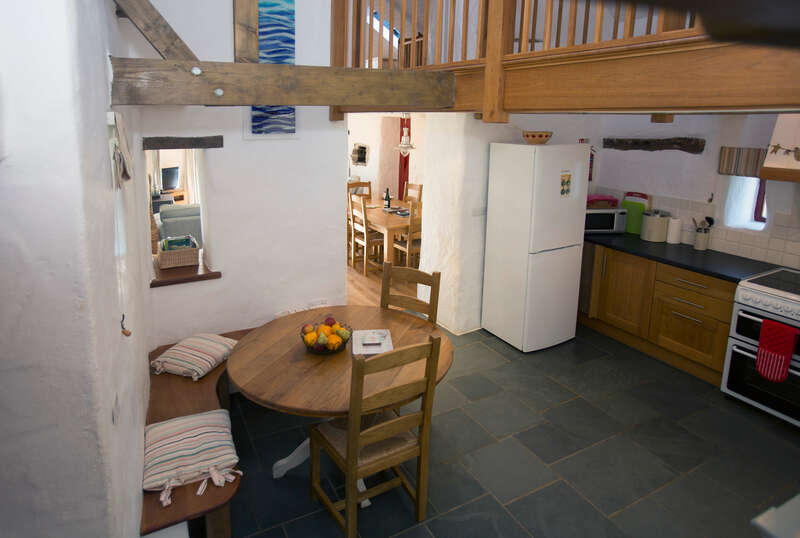 Also shared courtyard garden with more garden furniture and home to the very popular sand-pit for the toddlers adjacent to games room where you will find table-tennis, pool (free), table-football, games,puzzles, books etc. 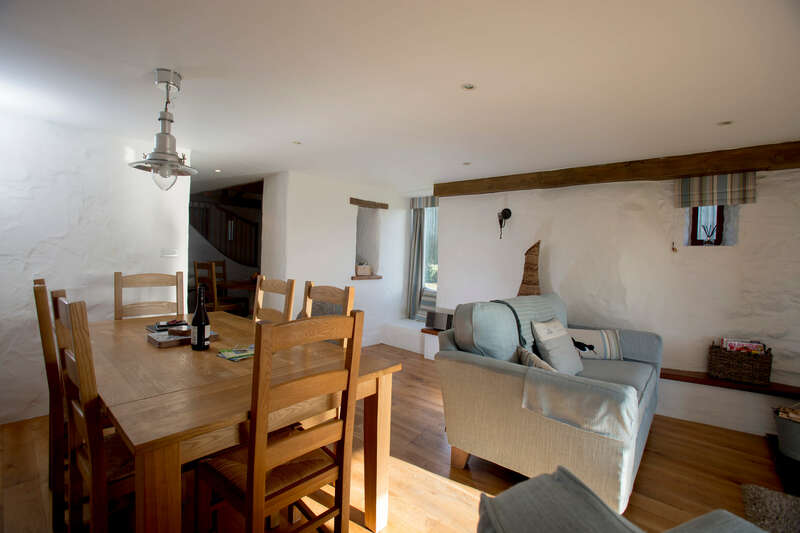 Llisky is a great family cottage and is equipped with proper cot in master bedroom(travel cot also available), stair gate and high chair.For the more active free use of kayaks,bikes.